Installing a printer on a Mac is usually a simple task. You shouldn't have to do much more than connect the printer to your Mac, turn on the printer, and then let your Mac automatically install the printer for you. Apple added the automatic printer install method with OS X Lion. Occasionally, the automatic installation process doesn’t work, usually with older printers. In that case, you can use the manual printer installation method. Load the printer with ink and paper, connect the printer to your Mac using a USB cable, and then turn on the printer. Launch System Preferences on your Mac by clicking on its icon in the Dock. Click the Printers & Scanners icon. If your printer is listed in the preference pane's printer list sidebar, highlight it and look at its Status. If it says idle, the Mac sees the printer even though it isn't in use. You're all set. If you don't see your printer on the list, click the plus (+) button at the bottom of the printer list to add a printer. Select the Default tab in the Add window. Your printer should appear in the list of printers that are connected to your Mac. 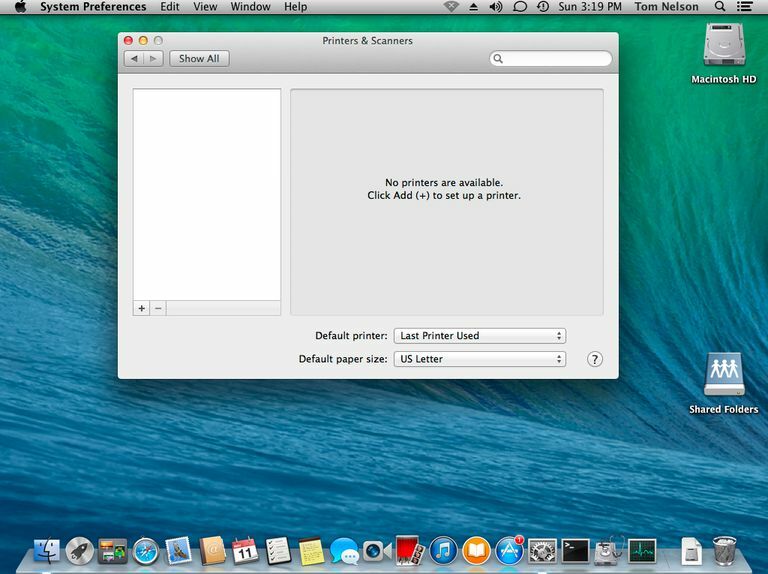 Click on the printer name and the fields at the bottom of the Add window auto-populate with information about the printer, including its name, location, and driver, which the Mac auto selects. By default, your Mac auto-selects the driver. If your Mac can find a proper driver for the printer, it displays the driver's name. If your Mac isn't able to find a suitable driver, click the Use drop-down menu and choose Select Software from the drop-down list. Scroll through the list of available printer drivers to see if there's one that matches up to your printer. If not, try a generic driver if one is available. Select a driver from the list and click OK.
Click the Add button to complete the installation. If you still have problems, and you manually selected a generic driver for your printer, try another driver or go to the website of the printer's manufacturer and download a suitable printer driver.